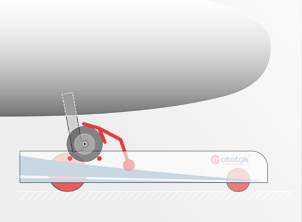 Thanks to Mototok's extremely flat format, you don't need to allow for an exit path in your hangar, and problems with equipment mounted underneath the fuselage are a thing of the past. Automatic processes, full programmability and easy usage that doesn’t even require trainings: Human error posing risk to machines and men is virtually taken out of the equation. 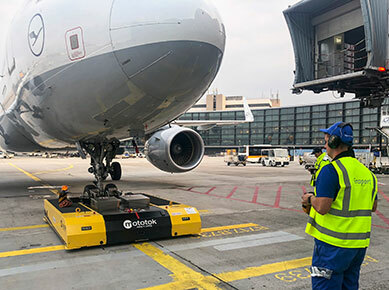 As Mototok tugs are moved with a radio remote control providing 100% visibility, towing with a mototok is a foolproof one-man-operation without the need for a wingman. Benefits at a Glance. increase performance, avoid accidents. 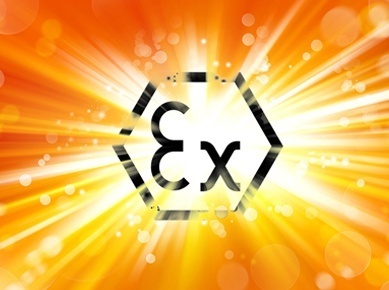 Extremely powerful and emission-free electrical motors, driven by high-performance, maintenance-free GEL batteries with high cycling capability provide enormous driving forces. Low maintenance and personnel costs and a truly remarkable performance increase: Industrywide, Mototoks are the tugs with the quickest Return On Investment. 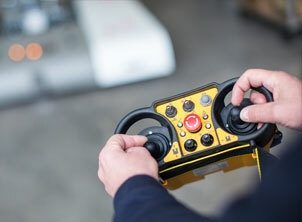 Whether in the hangar, on the tarmac or in the production hall: one type of machine suitable to a wide range of machines, plus including GPU and Pushback. 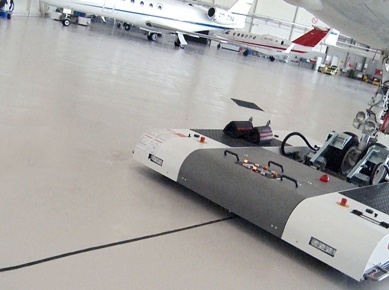 With the capabilities of towing and pushing any aircraft up to 195 tons, perfectly optimized utilization of space, eco-friendly drive and extremely low maintenance and personnel costs that cause the quickest ROI in the industry, Mototok vehicels are simply the best choice for any kind of towing and pushback operation. Docking is a matter of seconds. 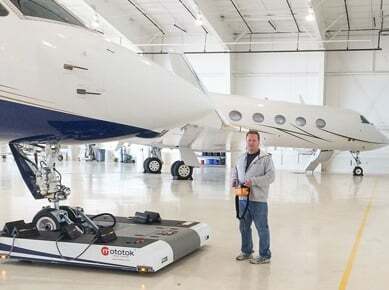 It works from either the rear or front of the nose wheel and doesn’t require straps, winches, bolts or tools. 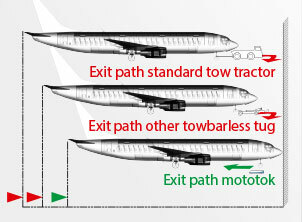 Simply drive the mototok up to the nose wheel. 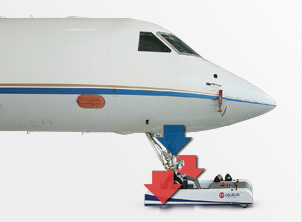 When the nose wheel is raised, it will then be secured by a hydropneumatically operated wheel securing system. The nose wheels tilt on account of offset nosewheel gear mechanism and are also kept in a fixed tilted position under constant ground contact pressure provided by the hydro-pneumatic system of the model M-Series and TWIN. 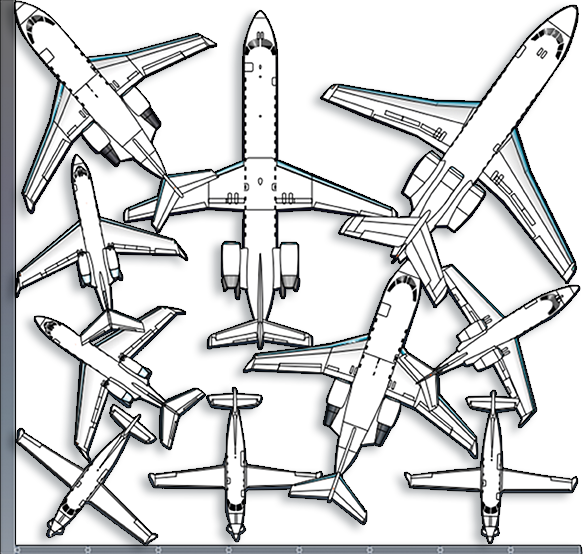 The nose gear platform of the Model SPACER is gimbal-mounted with three hydraulic cylinders. 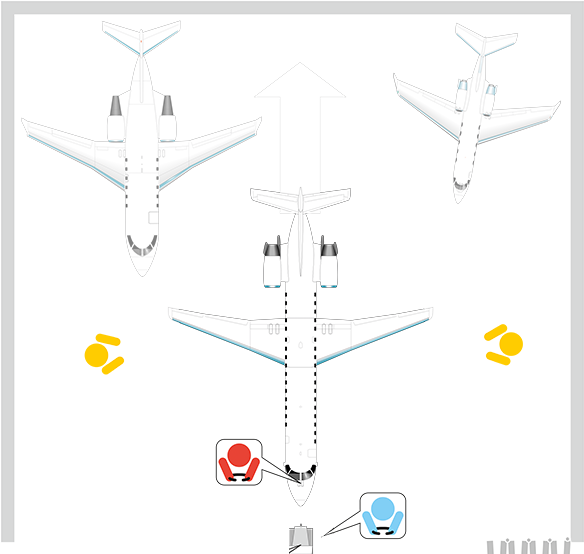 This compensates the tilted position whilst turning the nose gear. A towbar isn't needed at any time. 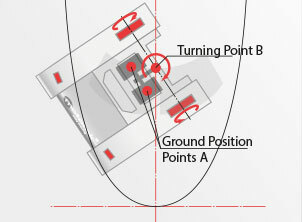 The nose wheel pressure is positioned exactly between the two drive wheels of mototok. So the resulted ground contact pressure is very high. 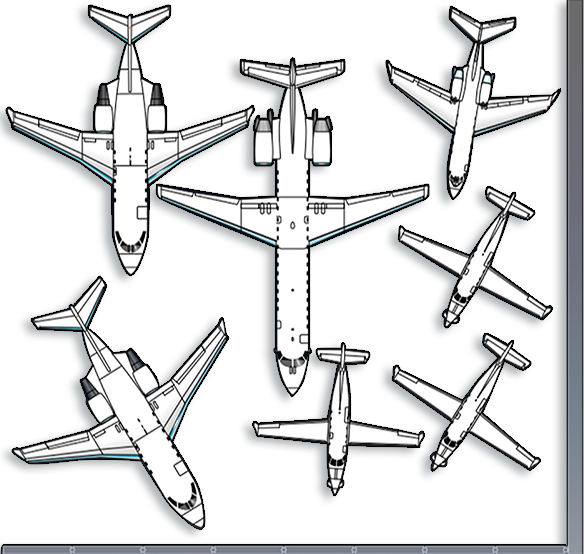 A very high ground contact pressure ratio in relation to the total aircraft weight is attained due to the fact that the driving wheels are 100mm wide. Under these circumstances, mototok can be operated without any problems in rain, snow or on ice. 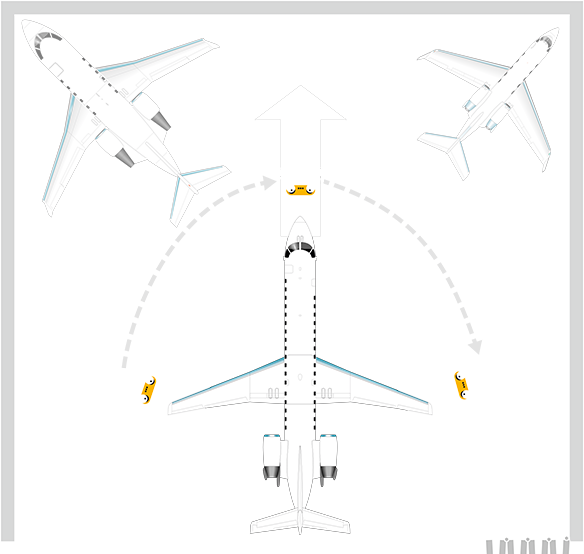 Due to Mototok’s exceptionally low height and compact design, there is no exit path to consider when attaching or detaching from the aircraft’s nose gear. It becomes possible to utilize every last inch of your hangar. 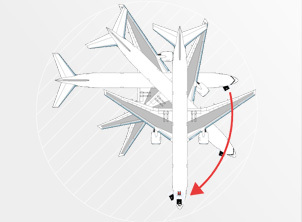 Thanks to the tug’s “snail” mode, tail section or wings of your aircraft can be maneuvered so exactly and thus so safely that they are nearly touching the hangar wall or next aircraft when parked. The operator then only needs to back out, and lean back with the pleasant feeling of having utilized up to 40% more space of the hangar. This is a towbarless tug on a whole new level.